Preheat oven to 350°F. 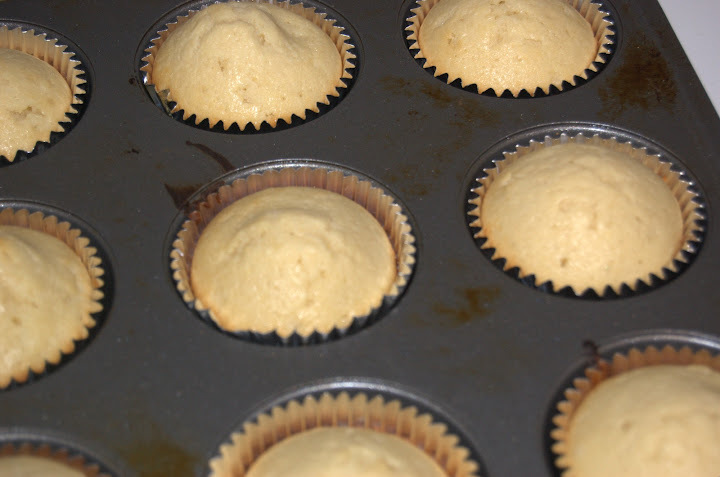 Line a muffin tin with liners; set aside. 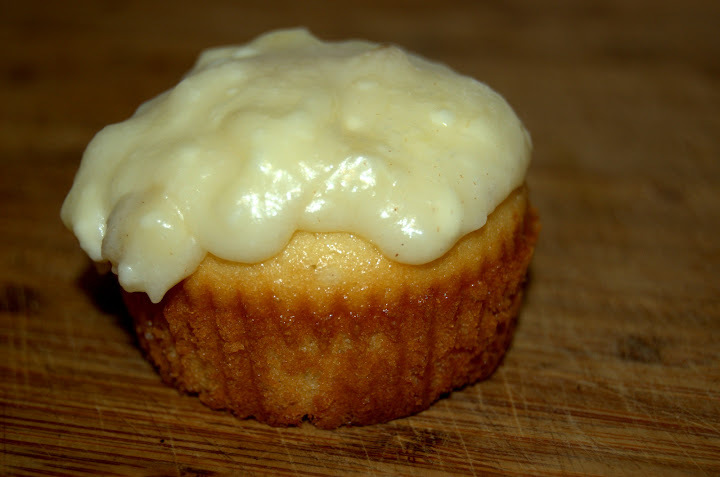 Using an electric mixer, cream butter and sugar at medium-high speed until fluffy, about 3 minutes. Add eggs one at a time, beating after each. Mix in vanilla, baking powder and salt at low speed. Mix in half of flour; add milk and remaining flour; mix at low speed until smooth. Place bananas on a cookie sheet and roast in the oven at 350F for 15-20 minutes, or until the skin is black and the inside is very soft. Cool. Wow, that looks sooooo delicious. I don’t have banana eaters in my house, and I really miss them! I eat them, but don’t get to cook with them often. I love the idea of roasted bananas. These look fabulous! Looks like something my kids would love. Can’t wait to try it! This is something that I’ve been meaning to try but had a few questions. 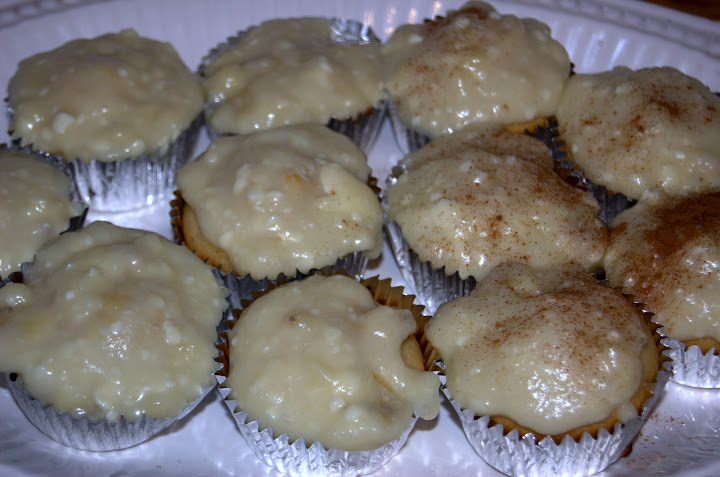 If you put these in the refrigerator will the frosting turn brown like a banana would? Will the bananas, once in the frosting, go bad at a certain point or temp? So the frosting won’t turn brown (unless you really, really roast and caramelize the bananas until they are very brown) because the bananas are mixed in and don’t really get enough air exposure to oxidize (especially if you keep them in a sealed container in the fridge). 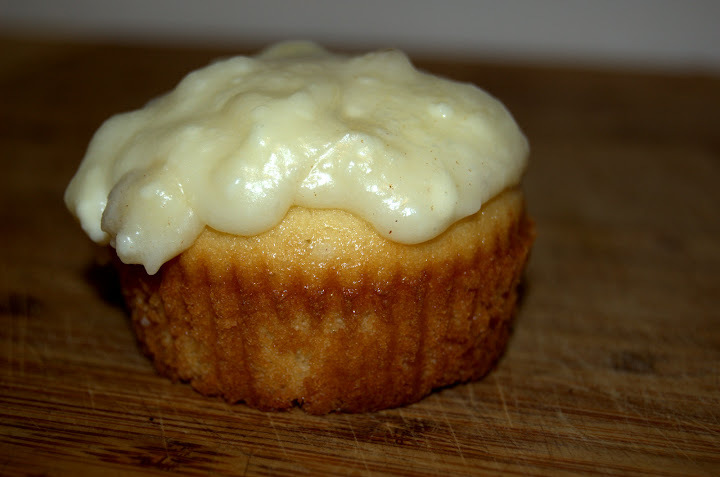 It will, however, go bad after a few days or if left out on the counter, not just because of the bananas but also the cream cheese in the frosting. You probably have about 3-5 days in the fridge.